Auto Zone Employees Save Big On Closing Costs! We believe in giving back to our local community by supporting many local businesses & organizations which play such a big role in our economy. 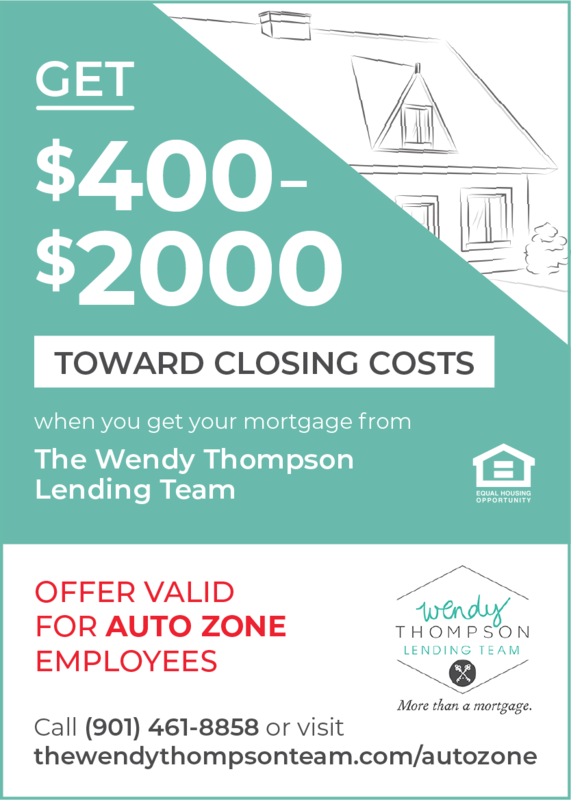 For a limited time, Auto Zone employees may qualify for a sliding dollar credit towards your closing costs when you get your mortgage from The Wendy Thompson Lending Team! For more information or if you have any questions please contact a member of our team today!